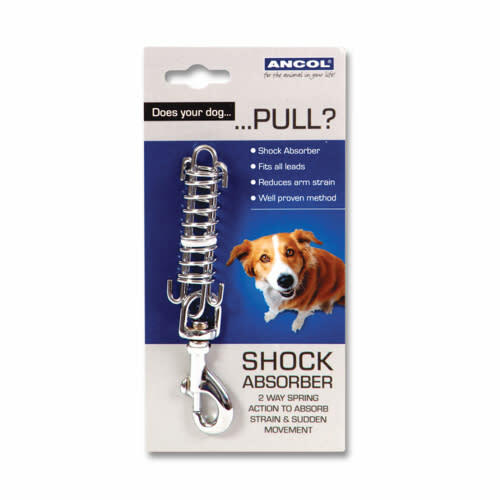 The Ancol steel shock absorber has a two way spring which helps to absorb the sudden strain when a boisterous dog pulls on the lead. This can be used to help train your dog to walk to heel. This fits any lead and collar. The small fits ancol collars sixed 3-5 and the large fits ancol collars 6-9.